With the temperature rising now that summer is in full effect, you may opt to wear more T-shirts and tank tops for clothing that breathe. 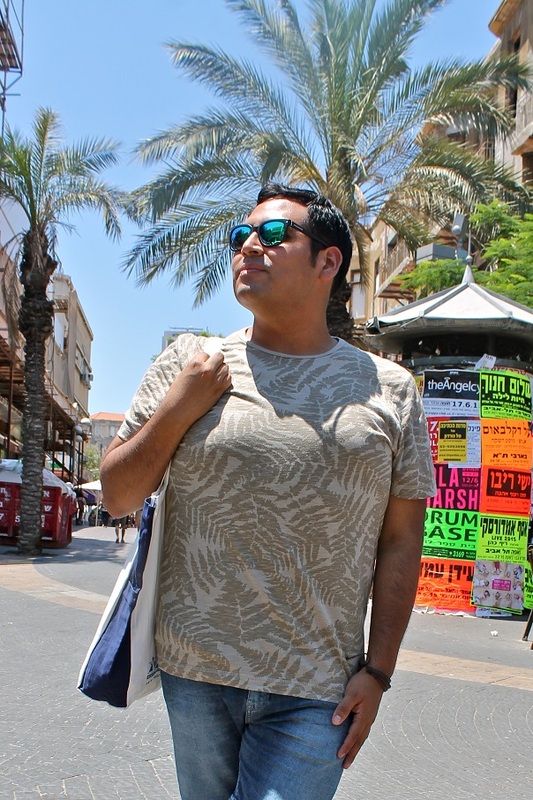 Print patterned tees and tanks can give the casual styles an upgrade from basic solids while also looking refined. I brought a couple new favorites with me to Tel Aviv earlier this month. Details about them below along with other styles to consider getting this summer. One print pattern top to get this summer is RVCA‘s Canker tank with its colorful pineapples – a fruit print that’s been popular this season. Styled it with khaki olive shorts from Frank & Oak, Coach aviators and lace-up espadrilles from ALDO. 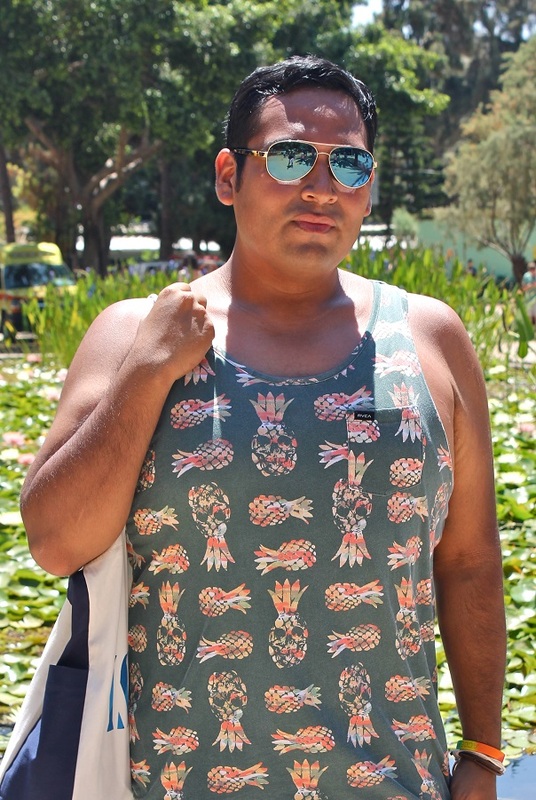 Other printed tanks to shop include ones by 2Xist, Express, Burkman Bros, Topman and H&M. Love the use of sand tone and leaf prints on Banana Republic‘s Heritage Tee. It’s so versatile that it can easily be dressed up or worn casually like I am here. 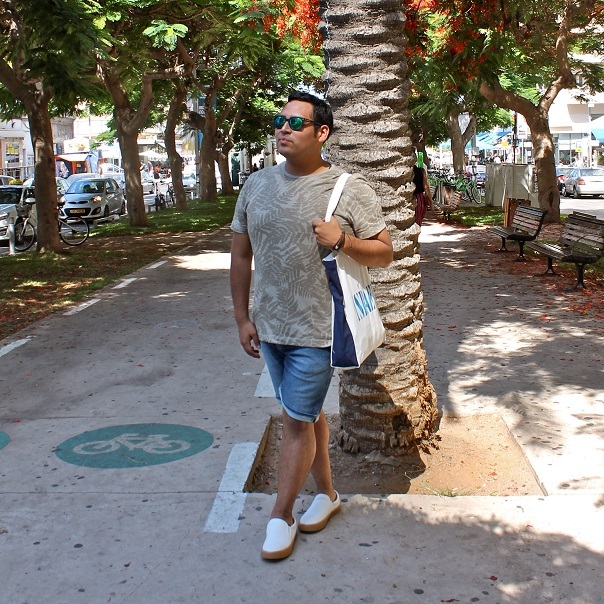 Styled it with Mavi denim shorts, canvas slip-ons from Frank & Oak, and a pair of BR sun specs. Other printed tees to shop include ones from Native Youth, Deus Ex Machina, Carhartt WIP, Hentsch Man and Paul Smith. 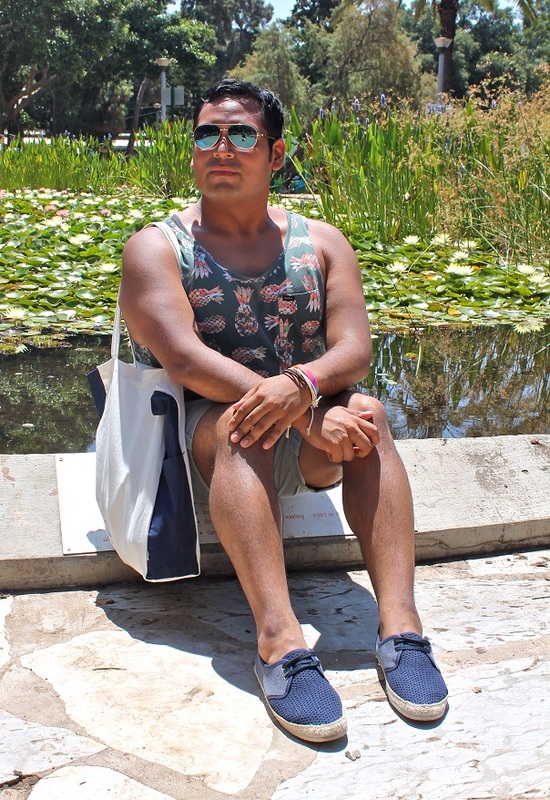 Posted on June 25, 2015, in Fashion, Shopping and tagged Fashion, Menswear, Style. Bookmark the permalink. Leave a comment.